Further studies are testing whether antibiotics that treat the bacteria might delay the growth’s malignant development. SCIENTISTS AT TRINITY say they’ve made an “important discovery” while researching the link between bacteria and a growth called oral leukoplakia which can precede oral cancer. The research found that there were higher rates of bacteria on the “white-patch” growth compared to healthy areas of the mouth. Its thought that if the bacteria is treated or eliminated earlier, that it could be possible to stop the development of the “white-patch” growth that can lead to oral cancer. Scientists at Trinity’s School of Dental Science examined whether certain bacteria were associated with oral leukoplakia and whether this type of bacteria could indicate whether these condition will become malignant. Oral cancer is the eighth most common cancer worldwide. Like all cancers, early diagnosis of the cancer greatly improves the chances of survival. According to the Irish Cancer Society, there are 300 cases of mouth cancer in Ireland every year. These cancers are more common in men than in women, but the rate of cancer in women is increasing. Oral cancer is sometimes preceded by precancerous growths, and identifying these can improve long-term survival. One of these pre-cancers is called oral leukoplakia, literally meaning “white-patch”. 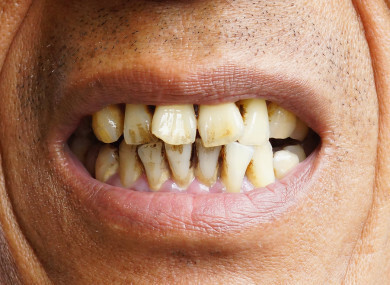 Although smoking is a risk factor for oral leukoplakia, we still don’t understand what turns oral leukoplakia into cancer and which ones are likely become malignant. When studying this pre-cancer, the researchers found that certain bacteria were more abundant on the white patches compared to healthy sites in the same patient. This included species of Fusobacteria and Campylobacter species. Recent studies have shown that Fusobacteria and Campylobacter are present in large quantities in colon cancer and are associated with colon cancer progression. The Trinity study suggests that similar bacteria may be involved in the progression of cancers in the mouth. Other studies are underway to determine if this type of bacteria can determine whether white patches become cancerous and whether antibiotics could be useful to prevent the growth from mutating into a more malignant form. The project was supported by the Dublin Dental University Hospital. Their findings were recently published in the international peer-reviewed journal, Frontiers in Microbiology. Email “Irish research links bacteria to pre-oral cancer growth”. Feedback on “Irish research links bacteria to pre-oral cancer growth”.